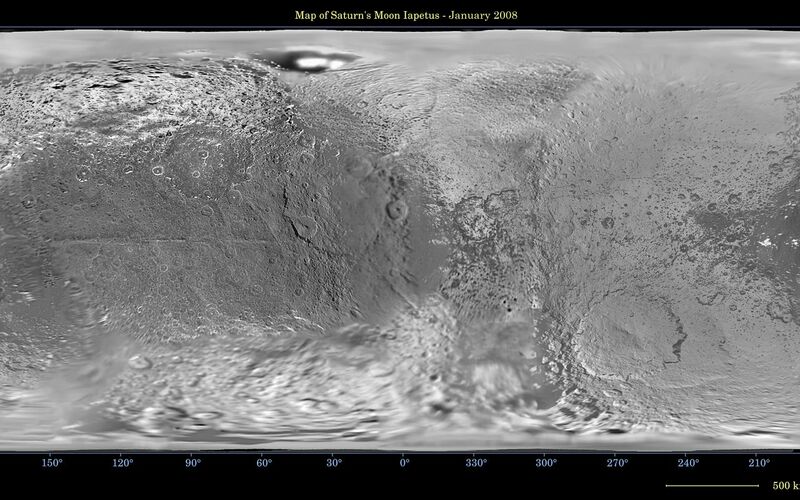 The map is an equidistant projection and has a scale of 803 meters (0.5 miles) per pixel. 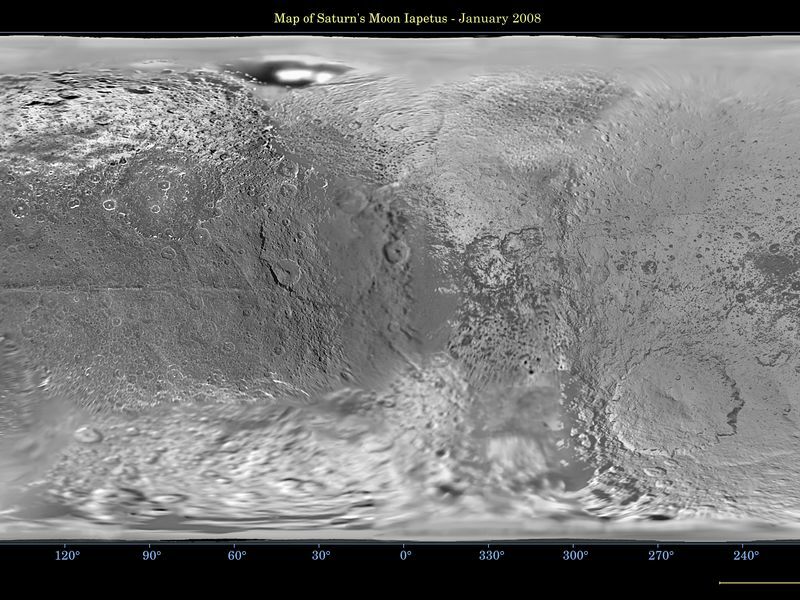 Some territory seen in this map was imaged by Cassini's cameras using reflected light from Saturn. 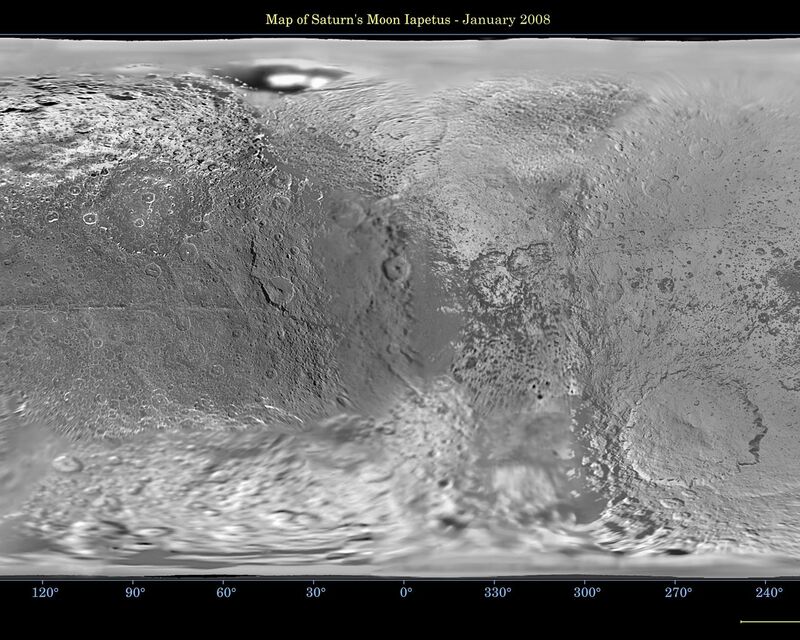 The mean radius of Iapetus used for projection of this map is 736 kilometers (457 miles). The resolution of the map is 16 pixels per degree. 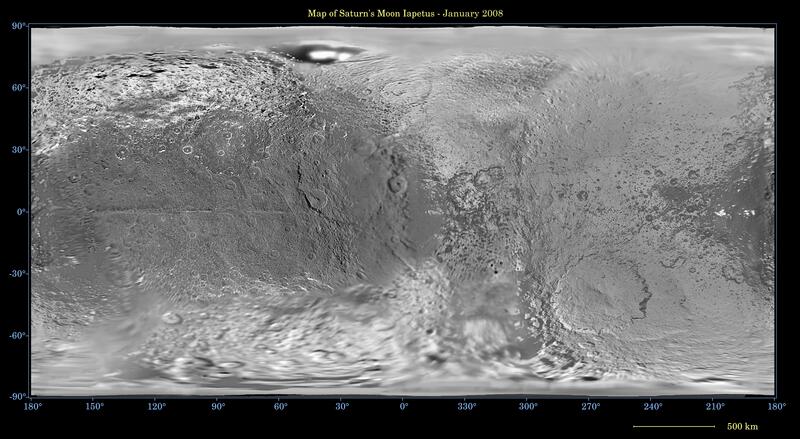 This updated map has been shifted west by 4.5 degrees of longitude, compared to the previously released Cassini product (see PIA07778), in order to conform to the International Astronomical Union longitude system convention for Iapetus.